The original park entrance bridge, which is still in use, is a fully wooden structure built in the 1920’s. With continuous use, and almost 100 years of fluctuating tides (almost 7’ between high water and low water), the bridge has outlived its design life. 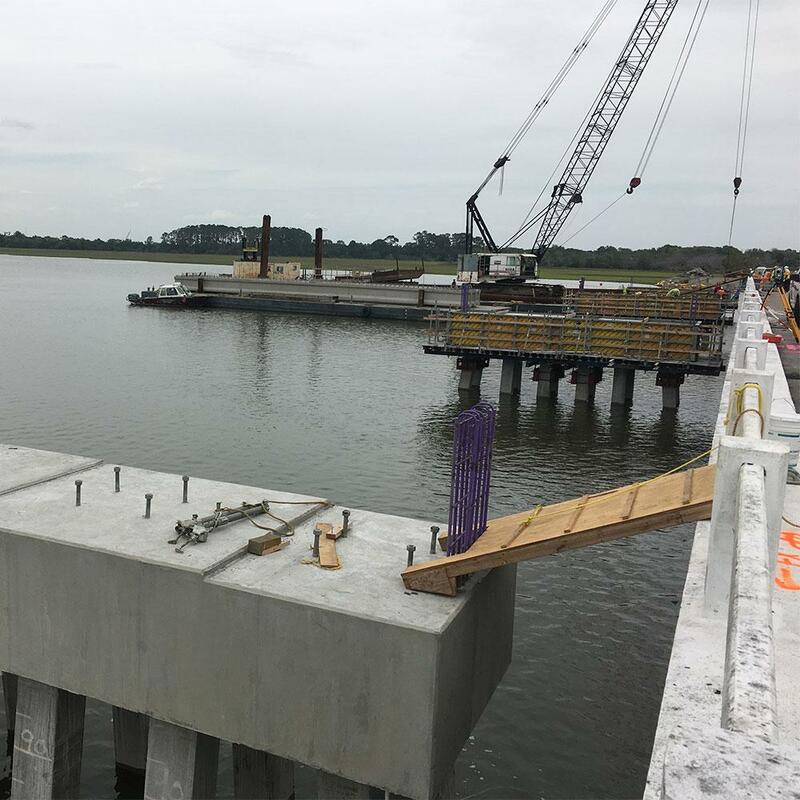 The new 1,295-foot-long bridge will be constructed from pre-cast pile, cast-in-place bent caps, pre-cast concrete girders, cast-in-place diaphragm walls, abutments, and wing walls. The new bridge will be located 6’ to the west of the existing bridge. 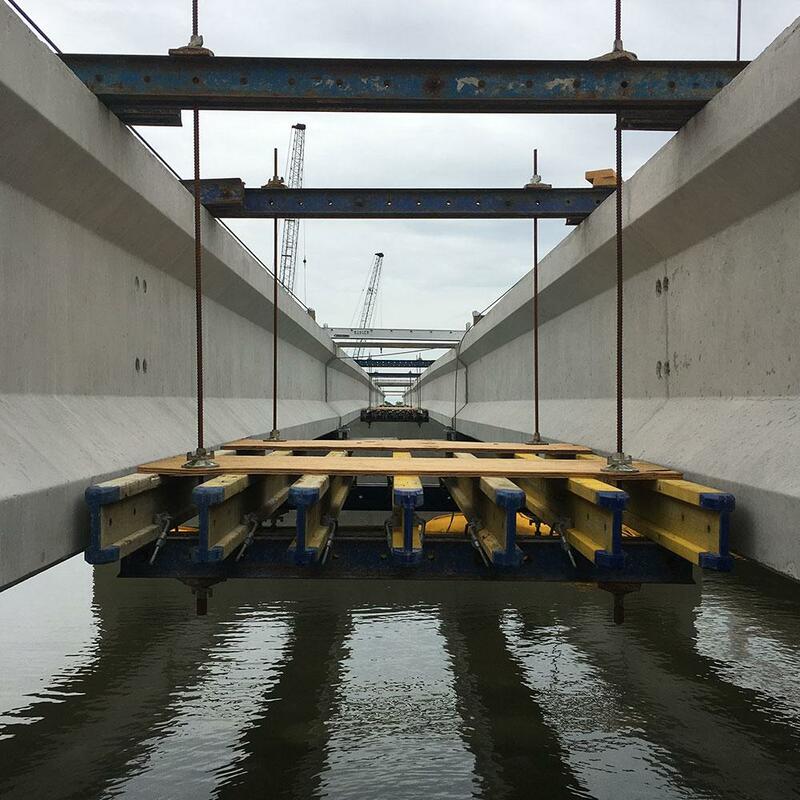 Low elevation of bridge cap and support structure (under water during high tide), pre-assembled together to protect the materials and work space for the contractor. Battered piles in different directions limit support structure locations on bridge caps. 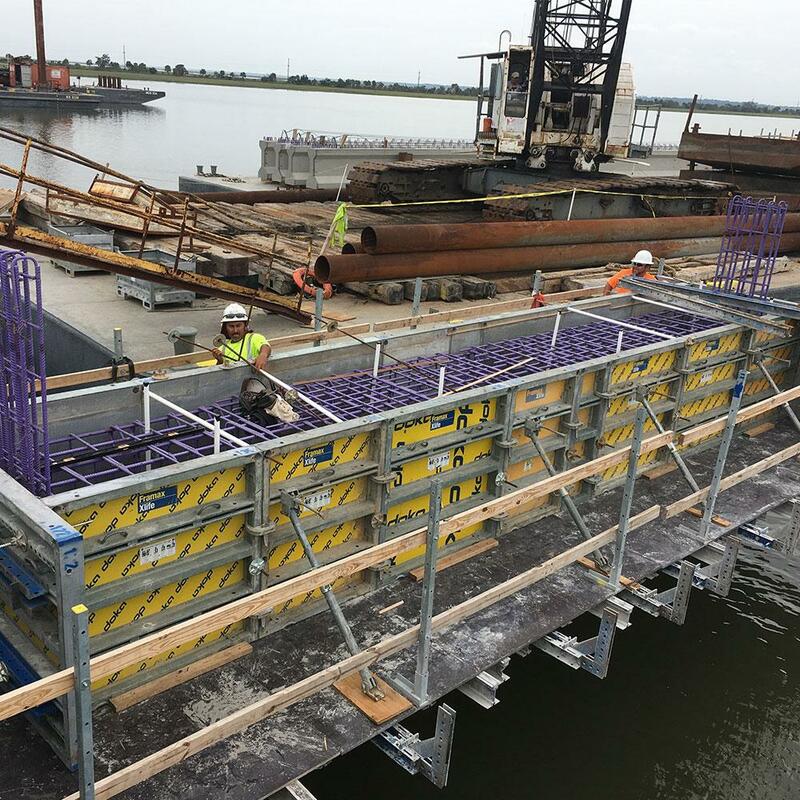 Required custom friction collars to hang on the battered piles, and support decks designed to work around the battered piles. Cast-in-place intermediate diaphragms needed to be supported over the water and needed to allow working space and safety. Customized designed pile cap soffits utilizing standard rental gear and Framax wall formwork supported by standard and custom Friction Collars. Suspended Top 50 Forms for CIP diaphragms. Diaphragm wall support that hangs from the precast girders. Thank you for your interest - Fort Pulaski National Monument Entrance Bridge Replacement. 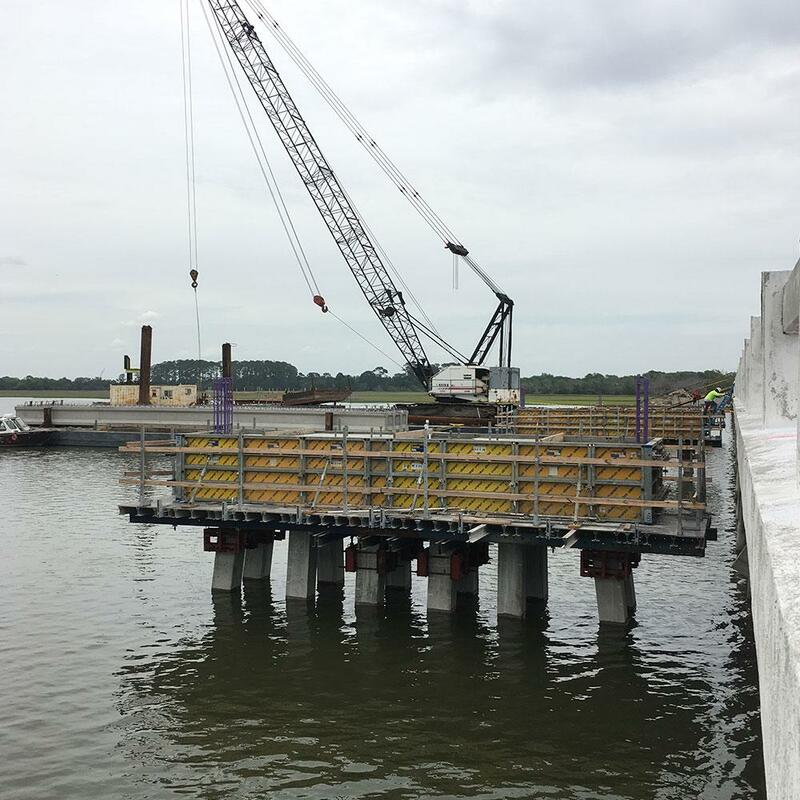 Thank you very much for your interest - Fort Pulaski National Monument Entrance Bridge Replacement.